Shiva and Parvati married on this day, the day of Maha Shivratri. Devotees on this day observe fast, visit temple and follow all sort of rituals to get the blessings of Mahadeva. On this day, I did what I am good with. I read about Shiva and write about Shiva; this is my way of devotion to the Lord. Who is the supreme among the trinity? Brahma is the creator, Vishnu is the preserver and Shiva is the destroyer. Once these three Gods started discussing about their supremacy; which one of us is supreme! Finally, Shiva turned himself into a pillar. He challenged Brahma and Vishnu to find one end of the pillar. Vishnu turned into a boar and started digging downwards to get at the lowest end of the pillar. Brahma rode his swan and started flying upwards to find the upper end. Neither of the Gods finds out the ends of the pillar. Vishnu bowed down to Shiva and accepted his supremacy. But Brahma gambled with his luck and took the help of a flower, ketaki. He asked Ketaki to give a false statement in front of Shiva and Vishnu that, she witnessed Brahma finding the upper end of the pillar. This enraged Shiva and he cursed Brahma, not to be worshipped on the earth by any human. And he also cursed Ketaki; not to be used any religious ritual. So, somewhere it means Shiva is the supreme among all. Well, if he is the supreme of the three; to whom he keeps on praying with his meditation? Once Parvati asked this question to Shiva and his reply surprised her. Shiva said, I am praying to my Lord, Vishnu. He is the supreme of all. 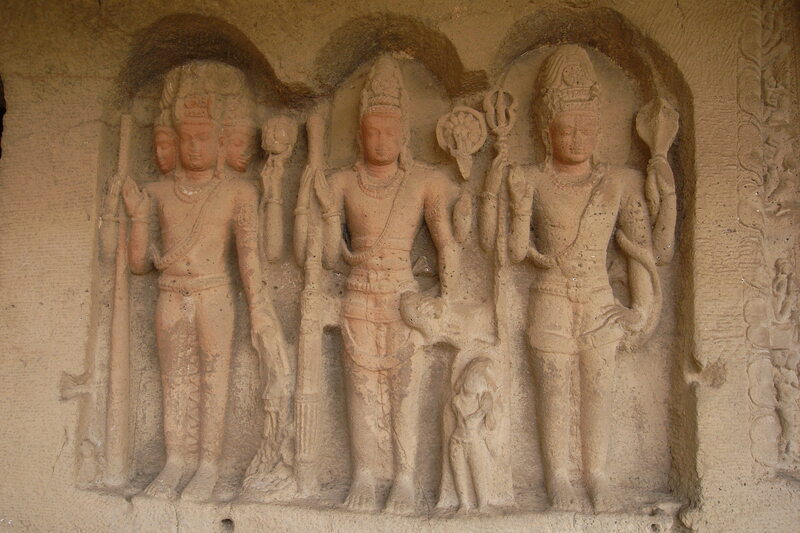 The above two stories makes it clear that, there is no supremacy among Shiva and Vishnu; they are both equal. In fact, there is a form of the God called Hari-Hara; whose one half is Vishnu and the other half is Shiva. Everyone is aware of the story surrounding Sagar-Manthan. When Devas and Asuras decided to extract the nectar of immortality; they joined hands and started churning the ocean of milk. They have used the Mount Mandar as the churning rod where as the great Vasuki played the role of the rope. While the churning of ocean produced a lot of gems and celestial things; it also produced one of the deadliest poisons known to mankind, the Halahala. It becomes a threat to the mankind. They all prayed to Shiva for protection. Shiva came to rescue and consumed this deadly poison to save the mankind. Because of this poison his throat turned blue and he came to known as “Neela-Kantha”, the one with blue throat. This is how he saves mankind and we still call him the destroyer! But do you know, he saved the mankind one more time by taming the fierce river Ganga!